This flower vase can not simply be identified as a container which can hold a bunch of flowers. It has something more to it without Read More..any doubt. The entire vase is made of terracotta and painted in blue. 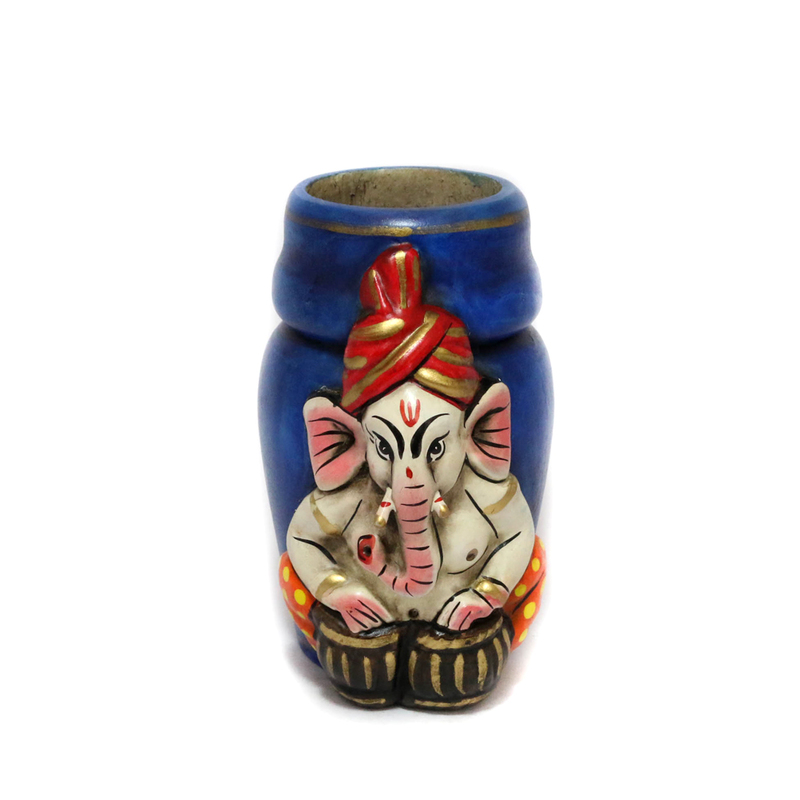 The idol of Ganesha is sculpted at the center of the vase with a unique hint. Here Lord Ganesha is illustrated as a lover of music, playing Tabla and wearing a turban in the head. Show Less..